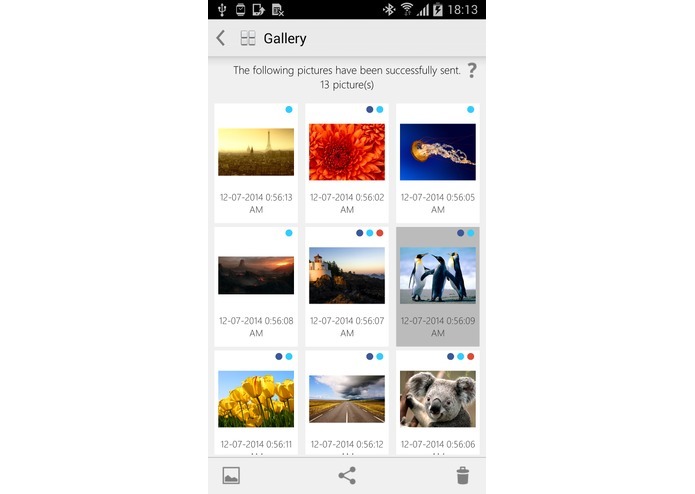 Share your emotions easily with your friends ! 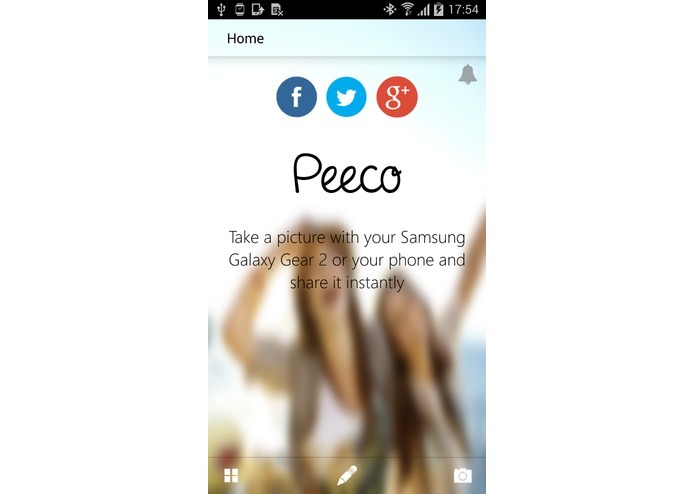 Peeco is a simple way to capture your favorite moments on your Android smartphone or your Samsung Galaxy Gear 2. Keep in touch with your friends and send posts instantly to your social networks : Facebook, Twitter and Google+ ! 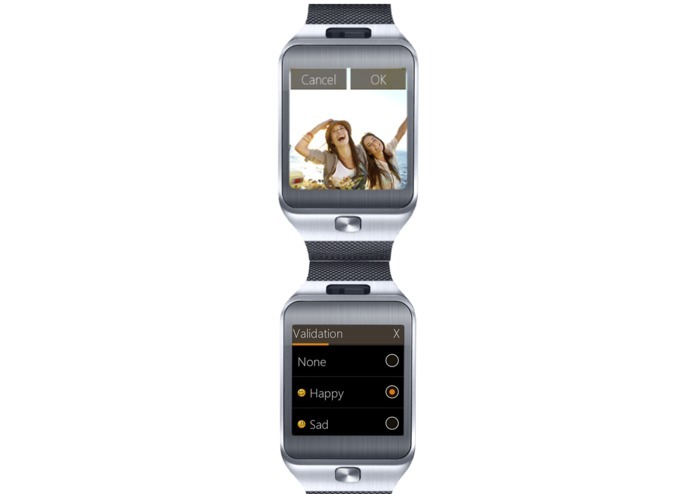 Share your pictures in only 3 steps on your smartwatch : Capture, Express your emotion & Post on your social network. 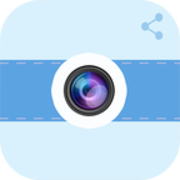 Peeco is easy to use, try it out, it's completely free ! A unique keyboard is available on the wearable so you can personalize your post. 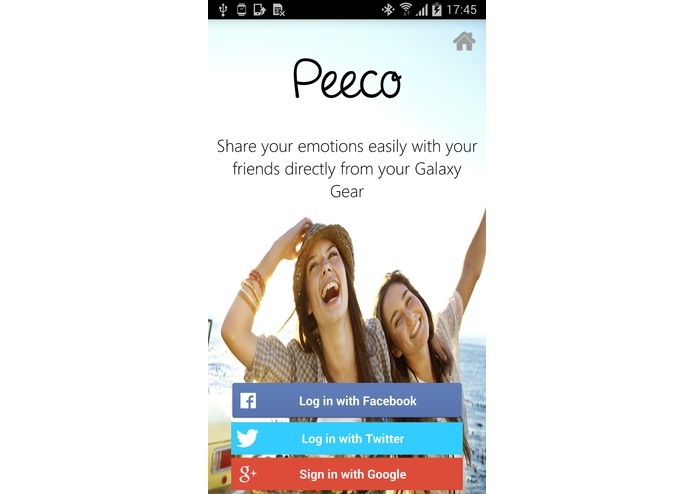 What's new on Peeco ? 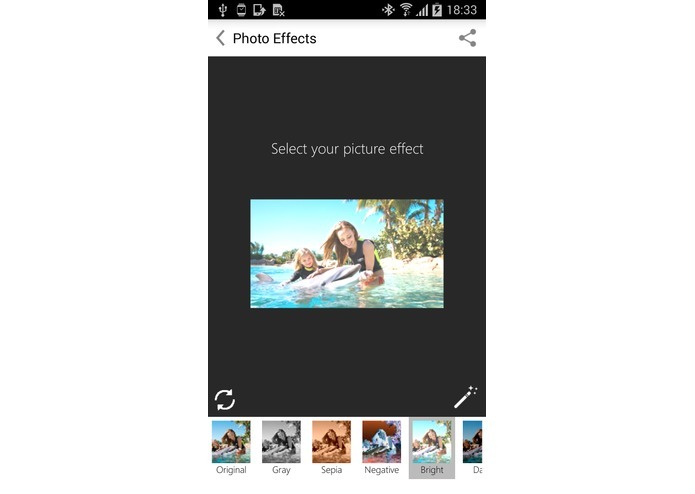 (*) The photo effects feature is only available on Samsung smartphone device.